Using ‘baby talk’ speeds up infants’ learning, according to new research. It may sound silly to adults but babbling terms of endearment such as ‘coochie coo’ are good for a child, say scientists. It helps them pick up language more quickly – which could give them a head start when they get to school. In particular words that end in ‘y’ – such as tummy, mummy and doggy – or those that repeat sounds like ‘choo-choo’ and ‘night-night’ – may best boost identifying meanings in speech. 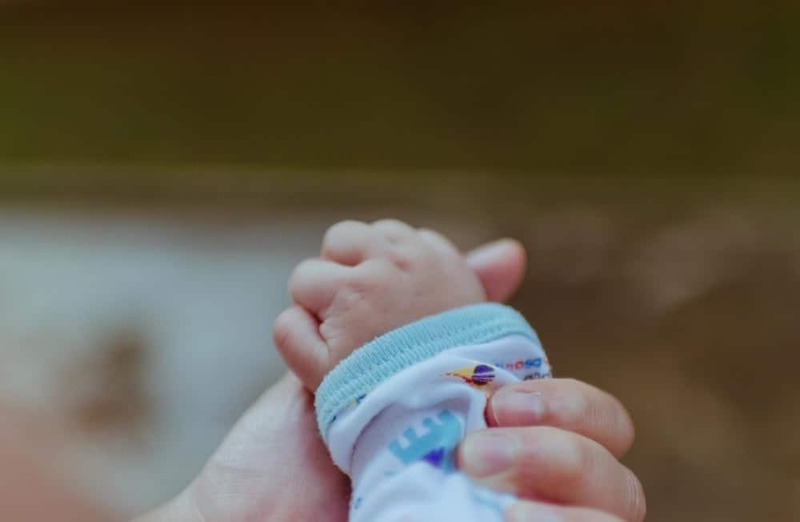 Baby talk is a universal language amonmg parents across the world – but it’s the first time it’s been shown the more infants are exposed to the faster they grasp language. The study found those who heard words such as ‘bunny’ or ‘choo-choo’ most often were faster at picking up new words between the ages of nine and 21 months. But the Edinburgh University team’s findings suggest some types of baby talk words – more than others – increased vocabulary more quickly. In the study published in Cognitive Science linguists recorded samples of speech addressed to 47 Scottish infants – 24 boys and 23 girls – learning English. They checked the speech addressed to each for features that characterised baby talk words. Then the rate of the participants’ language development was measured by the size of their vocabulary at nine, 15 and 21 months. Those who heard a higher proportion of diminutive words – which also included piggy, horsie, feetie, drinkie, sockie and truckie for example – and those with repeated syllables like wee-wee, din-din, silly-billy, teeny-weeny and wibbly-wobbly did best. But the phenomenon did not work for onomatopoeic baby talk words. He said infant-directed speech (IDS) is typically slower, higher pitched and has longer pauses and shorter sentences. The issue of whether baby-talk words play any specific role in language development has been debated for years. Three years ago a study by Japanese scientists who studied babies in Tokyo suggested baby talk was bad for them. Speaking more slowly, using a sing-song voice, and using strange words may not, in fact, be the best way to communicate with a child. In fact, they say parents should just speak clearly, they said. Dr Ota said at first glance this could be true – seeming to be an impediment to language learning. Introducing words that already have equivalents – like bunny for rabbit or tummy for stomach – can be misleading. But Dr Ota said the benefits may outweigh the harms in the long run. He said: “Taken together, these findings lend further support to the general idea that there are developmental advantages associated with the characteristics frequently found in the unique vocabulary of baby talk. “The current study suggests language further accommodates the infant learner by introducing items that are not part and parcel of the adult system.